Anders Ulrich says, “With Gorilla Park our main aim is to create a healthy and sustainable natural experience for the whole family. 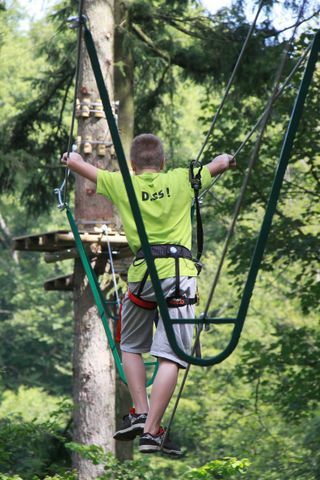 Our park does this in a fun way and the project’s adventure features can also inspire people to gain confidence from physical challenges. We want the park to be appealing to many different groups and we have designed a set of recreation services that meet all sorts of needs and interests". A Leader grant from the EAFRD of €63 758 was invested in the construction and marketing of Gorilla Park, which opened its doors to visitors in July 2010. Customer reactions to this new forest recreation facility surpassed the Ulrich’s expectations and on most days they received double the amount of visitors they had originally hoped for. 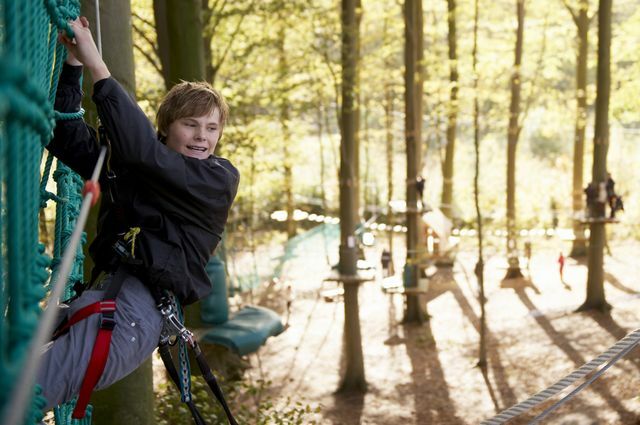 Some 4500 visitors enjoyed the park during its first season which saw all of the different attractions being highly used (including tree-top cycling and snowboarding routes, tarzan swings, base jumps, zip lines and climbing walls). "Gorilla Park has completely transformed the way we view our forest", says Mr Ulrich. "We now see that forests can be very effective at generating a regular source of revenue and our visitors seem to get a great deal of satisfaction from the forests, so the project is good news for everyone involved".